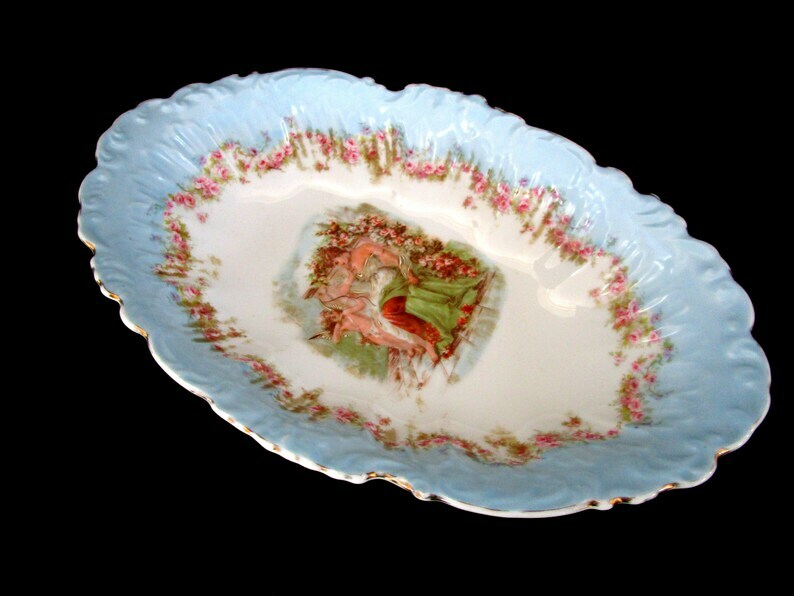 Beautiful antique serving bowl by ZS & Co, Bavaria. Light blue with a rim of pink roses and in the center is a woman with an angel. The edges are scalloped, with worn gold gilt trim. There are no chips or cracks. Lovely bowl for the dinner table, or as a display dish in the cabinet. Measures 12 1/2 inches by 7 3/4 inches, and a depth of approx. 2 1/2 inches.